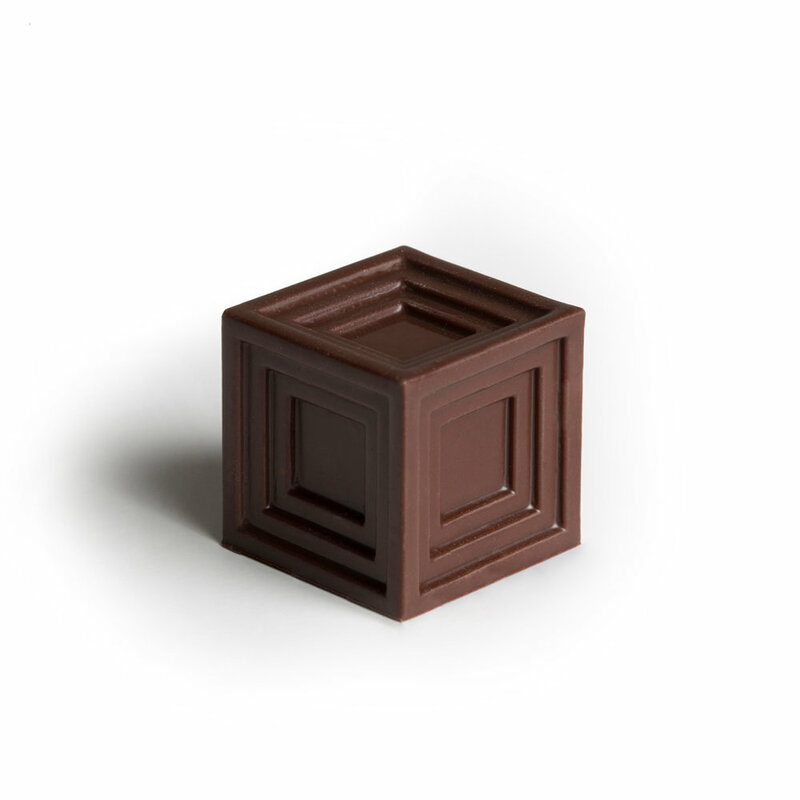 Modern artisanal chocolates that combine 3D printing technology with classic chocolatier techniques. Explore unique flavour collections inspired by Hong Kong, Australia and Single Origin chocolates from around the globe. 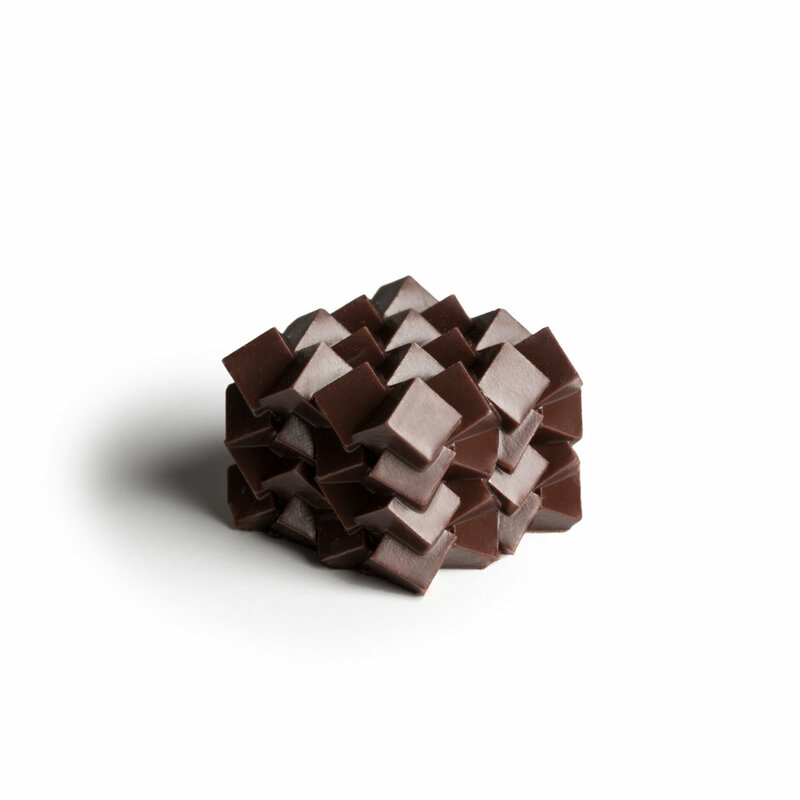 Ryan L Foote has set out to create chocolates that are both visually engaging and are reflective of contemporary design, while also discussing our multicultural world. This also comes through in the progressive recipes and innovative flavours, from traditional Asian flavours not normally found in chocolates to Australian native botanicals that you might never had tasted or even heard of. 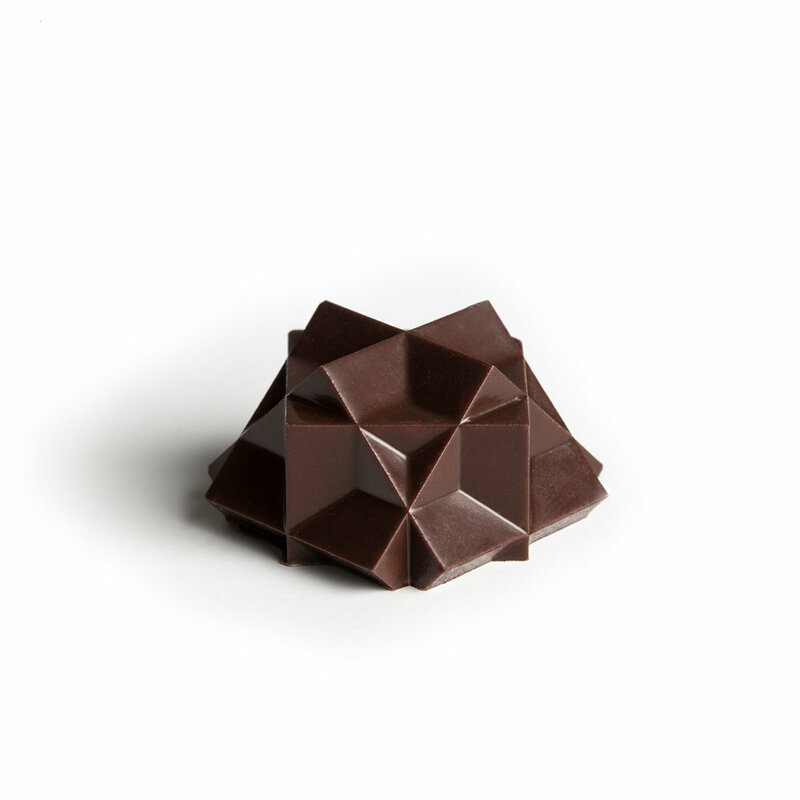 Inspired by Australian native botanicals and Australia's vibrant gastronomic scene, in this collection you will find a mix of digitally generated chocolate forms each with is own unique sculptural shape that is hand filled featuring flavours like White chocolate & wattleseed, Quandong & finger lime cream, and Cinnamon myrtle, honey & macadamia nut. Available in 4 & 9 piece boxes. 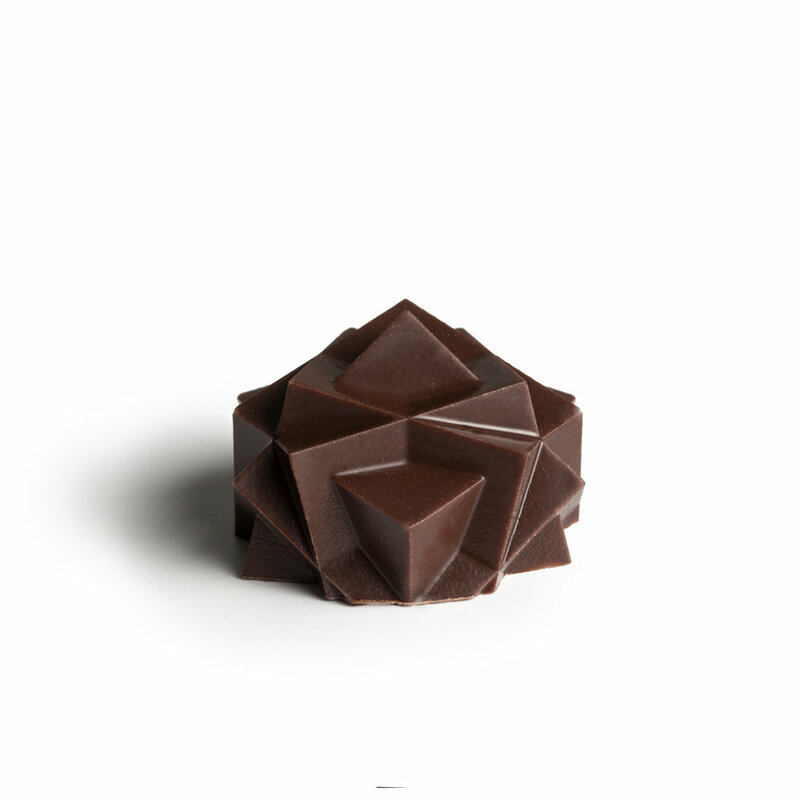 Cool notes of eucalyptus & mint lightly smoked in a rich smooth dark chocolate ganache. Inspired by Australian bushfires and the lush growth after. Fragrant pieces of quandong, a native desert peach, paired with zesty & refreshing finger lime in a perfectly balanced sweet-and-sour creamy ganache. Rich and creamy dark chocolate complemented by the peppery spiciness of this forest berry from Southern regions of Australia. Tart-tasting native plum from the Northern parts of Australia, paired with the floral sweetness of rose jam in this two-layered filling. 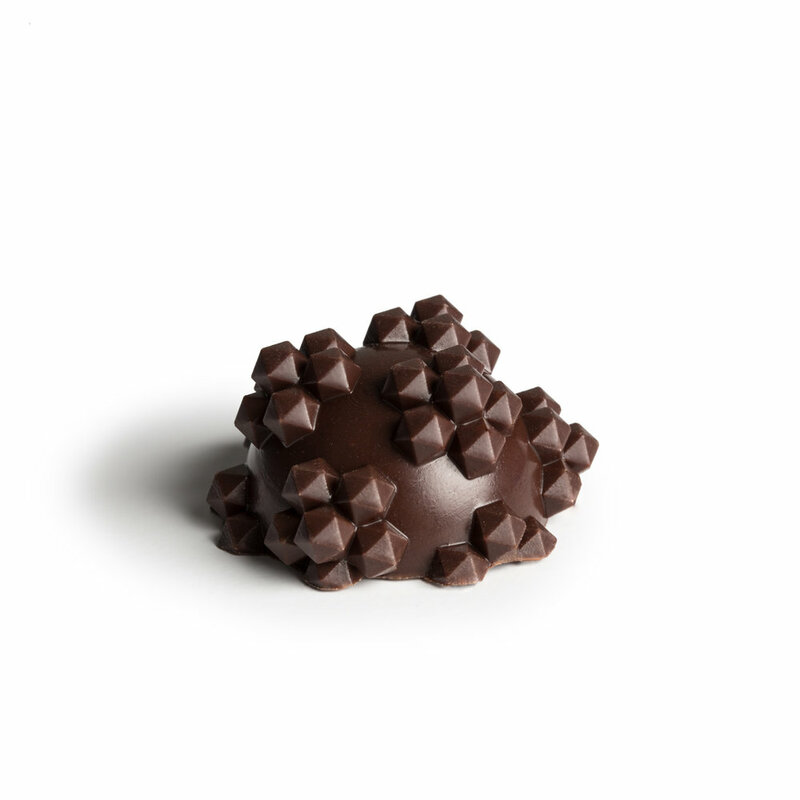 Warm and spicy cinnamon myrtle, honey and chunks of macadamia nut create a complex buttery ganache with an aromatic honey aftertaste. 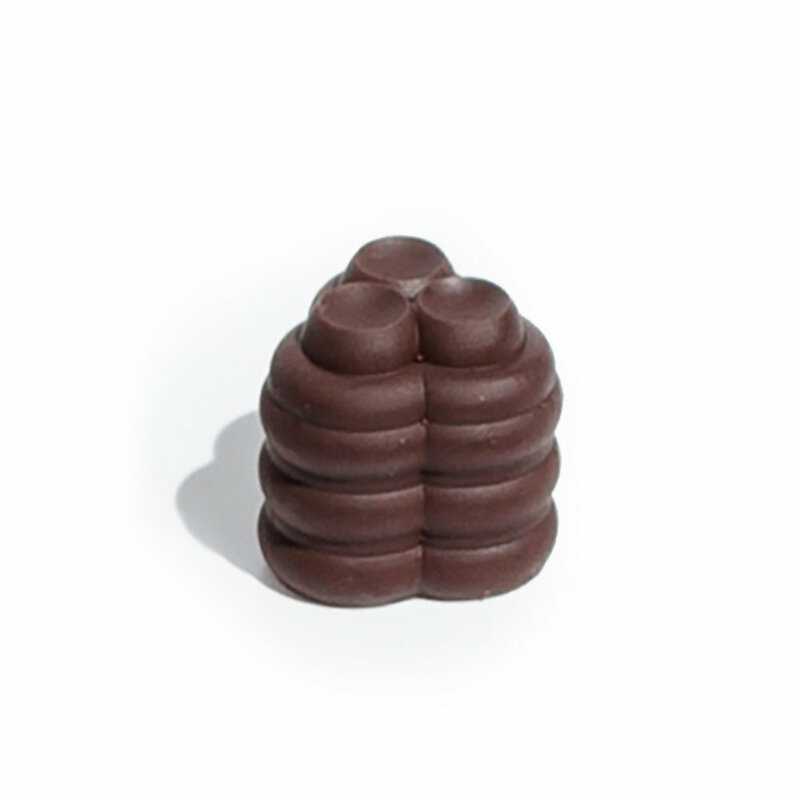 Housed in a thin chocolate shell, buttery salted caramel with a hint of Vegemite that oozes out with each bite. 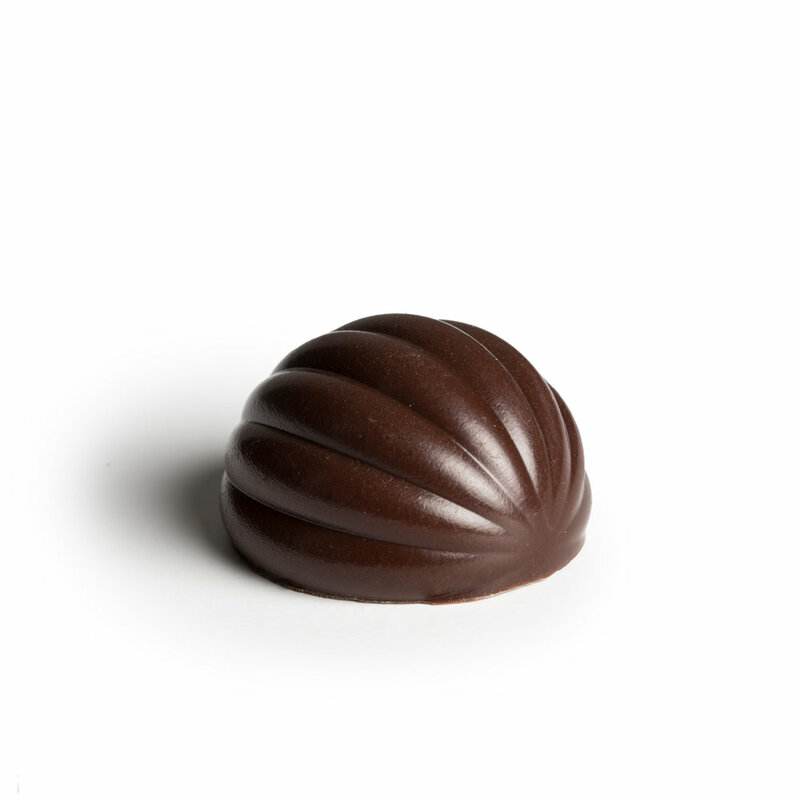 Warm roasted flavour of naturally nutty, chocolatey, coffee-like wattleseed combined with white chocolate creating a smooth creamy ganache with wattleseed grinds. Strong and refreshing citrus flavour of lemon myrtle infused with caramelised sugar forming a smooth caramel with a zing. This might not be an Australian native, but smashed avo has long become an Australian classic. Enjoy this smooth creamy ganache. Inspired by Hong Kong found flavours from local classics to modern tastes, in this collection you will find a selection of digitally generated chocolate forms, each shape and flavour has been carefully selected to complement one another, featuring flavours like Egg tart, Hong Kong milk tea and Five-year-aged mandarin rind just to name a few. Aged mandarin rind, a popular ingredient used in cooking and medicine, combined with bitter dark chocolate creating firm citrusy ganache filling with a zest. Tropical flavours of mango and creamy coconut create this wonderfully smooth ganache inspired by classic Hong Kong dessert. Strong and velvety, milky tea served with a splash of evaporated milk, this traditional drink has been embraced by Hongkongers since the 1940s. Deliciously sweet - savoury, buttery toast with peanut butter and condensed milk in the middle, you will find this popular snack in every cha chaan teng. Found in all local bakeries, this textural tart made of desiccated coconut and butter has a balanced sweet-and-salty flavour. Roasted nutty flavours of black sesame and slightly astringent almond come together perfectly in this half-and-half filling. Char siu is a popular savoury-sweet sauce used for seasoning of roast meats. Spices and flavourings like chilli, garlic, fennel, vinegar and sugar, combined to form a rich runny caramel filling. 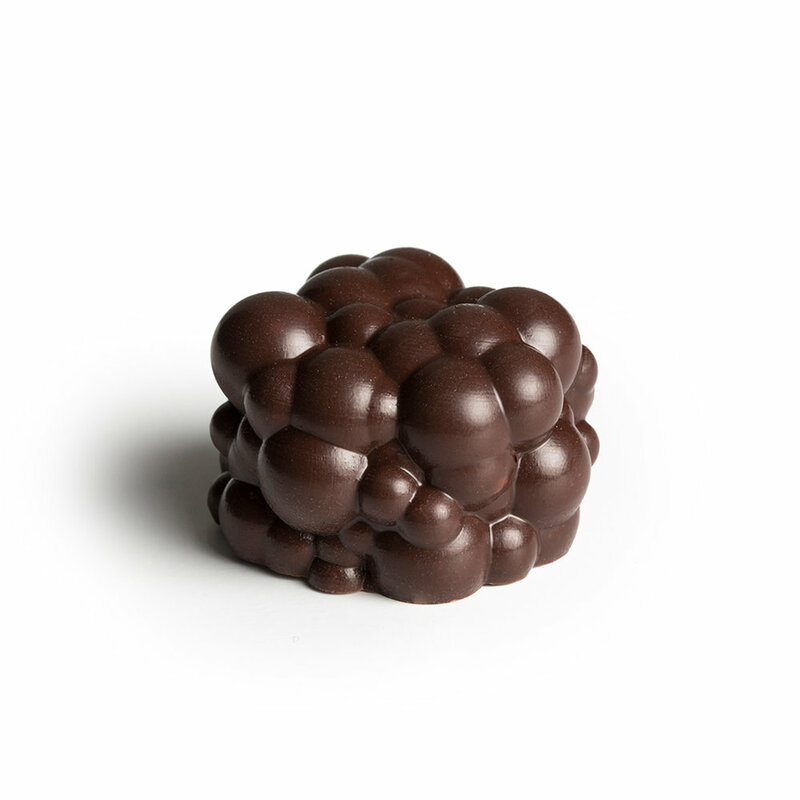 One of the most popular dessert ingredient in Hong Kong, red bean has a subtle earthy flavour offset with its sweetness, paired with a milk chocolate ganache with caramel notes. This Hong Kong egg custard treat is based on both the British custard tart and the Portuguese pastel de nata and found in tea houses and bakeries around Hong Kong. Selection of single origin chocolate sourced from around the would but with a focus on chocolates from the Asia Pacific region. The well balanced profile of this award-winning chocolate is achieved by perfect fermentation and roasting process. It has fascinating notes of hazelnut, toffee candy and dried tropical fruits. Look for notes of jalapeno pepper, sugarcane, milk and chrysanthemum in this rich chocolate from the Philippines. This unusual chocolate has a naturally smoky aroma and blends notes of smoked longan, light mushroom and vinegar. Intense and astringent yet balanced chocolate. This variety comes from the Mekong Delta. Compare it to the Tien Giang origin, geographically so close but with very different flavour profile! Enjoy this award-winning chocolate from Puentespina Farm in Malagos with vibrant fruity and floral notes. Note how shape and texture influence the taste of the same origin! 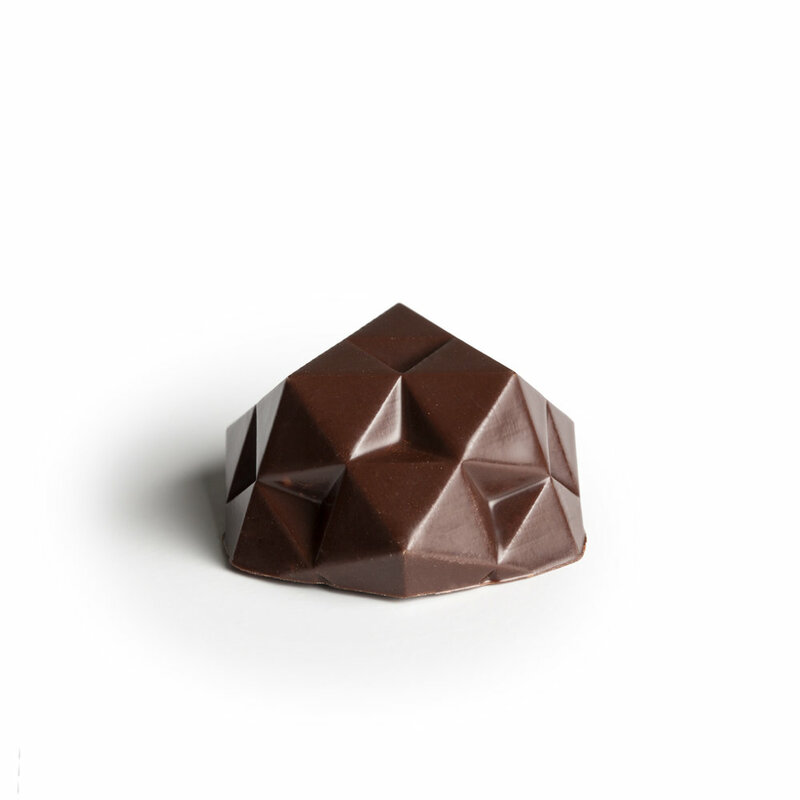 A full bodied chocolate with spicy, fruity notes, grown in Cho Gao farms in the Mekong Delta. Isn’t it fascinating how different it is from Ben Tre origin despite the geographic proximity? This strong Santo Domingo chocolate has a slight bitterness balanced by a long floral and fruity aftertaste. You will find floral spices, fruity wine and olive notes. This Tanzania origin chocolate is the perfect balance of acidity and intense cocoa bitterness, lifted by floral notes. Enjoy its strong fruitiness. Savour this award-winning chocolate from Puentespina Farm in Malagos with vibrant fruity and floral notes. Note how shape and aerated texture influence the taste of the same origin! 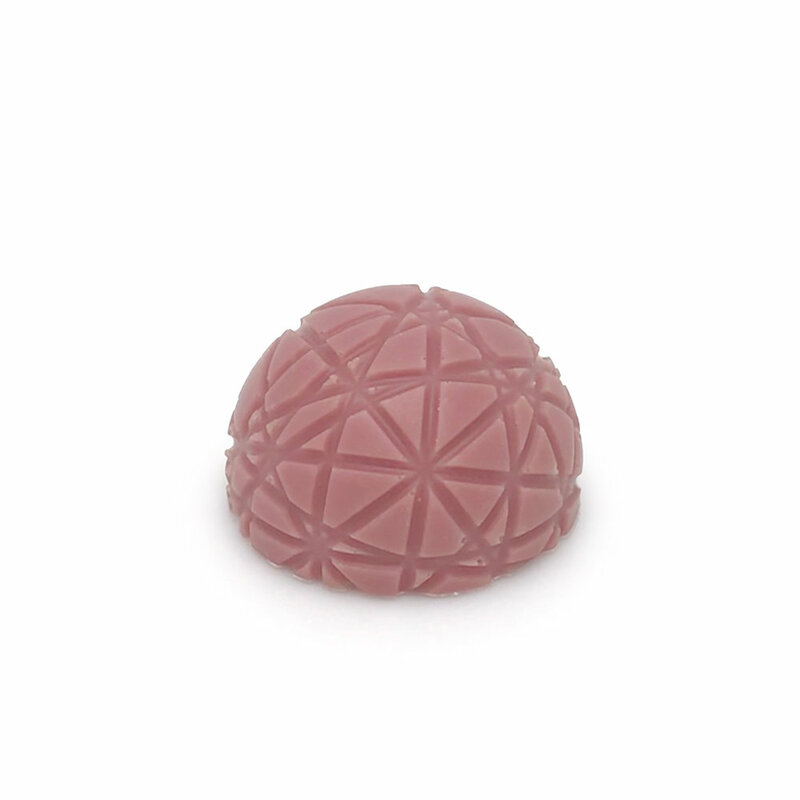 Our Ruby chocolate shell which has natural pink tones that come from the bean and are maintained in the processing of the chocolate feature smooth berry notes which we fill with a rose jelly and rich dark chocolate ganache. Available in 4 and 9 pieces. We know it's hard to pick just one box, so why not get a few? Our special wraparound sleeve lets you stack a few boxes and wrap it into one neat box, finished with our ceramic chocolate cutter.